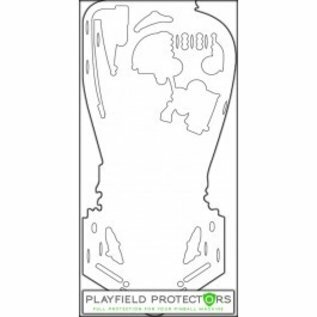 Playfield Protectors are just the solution for protecting and limiting any additional wear on the entire playfield for your game! The solution is a thin layer of clear protective polycarbonate that will protect the playfield as well as give it a glossy finish. Better alternative to cutting and sticking mylar or more time intensive clearcoating of playfield.